Ro; I wonder if it would be fun to swing sideways? Or would it disorient the brain? I was luckily between sips of coffee when I saw this one ha ha. Add me to those who loved this. Still smiling - thank you. I've seen this one before, and it's exactly what we would do IF we were guaranteed that parents wouldn't stick their noses in over a few bloody noses or concussions or broken fingers! 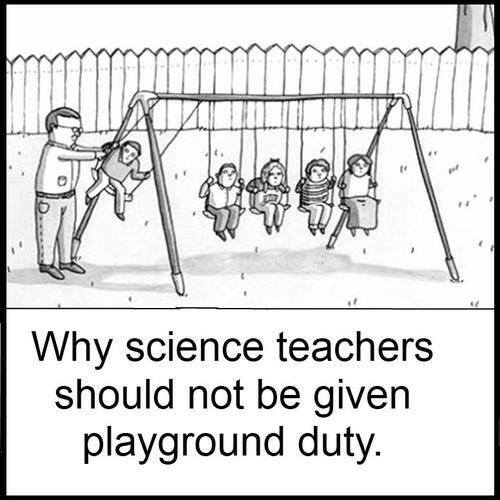 Those kids would not soon forget the Law of Conservation of Momentum! Ha, ha! Love that! 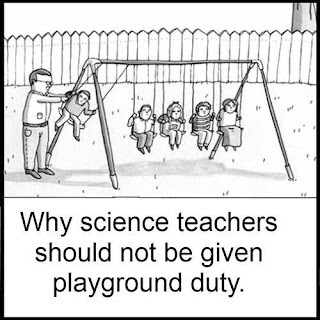 I have a science teacher friend so I must show her this. I've always loved this cartoon & used it in several of my posts! !